Today I'm going to be looking at the eyelids for the NC by German company IL Motorsport. These are available in the UK via mx5parts.co.uk. 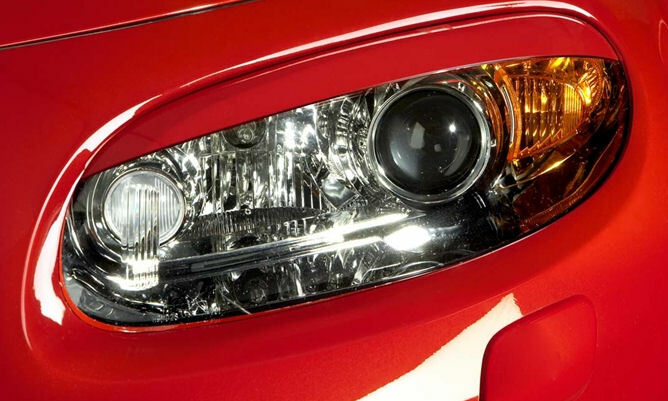 They're a subtle addition to the headlights of the Roadster giving a slightly angrier overall look. There're a couple of other eyelid designs available including offerings from the likes of Garage Vary, Ibherdesign, and Nopro, but these ones from ILM are the least expensive and probably the best value for money. So let's take a look at the order. I was pleasantly surprised by mx5parts with this order as in my experience their delivery charges can be quite high, but on this item next-day delivery cost me just £1.42 which I was more than happy with. As always, nicely packaged and they throw in a free colour catalogue, and it's nice to see some installation instructions in English here too. The back of the IL Motorsport box features some nice colour photos of the installation, obviously with German text though. Apparently you need to remove the front bumper for best fitment, but since my front bumper will be coming off anyway to fit the Fujita intake and Mazda front lip, this isn't really an issue for me. I'll also have these painted body colour at the same time as the lip. UPDATE: These un-used trim parts are now for sale, please email for details.